When it comes to oil skimming solutions, the Oil Skimmers Model 6V Brill® oil skimming system is the dependable, cost-effective and uncomplicated solution for removing oily waste from water during the manufacturing and wastewater treatment process. 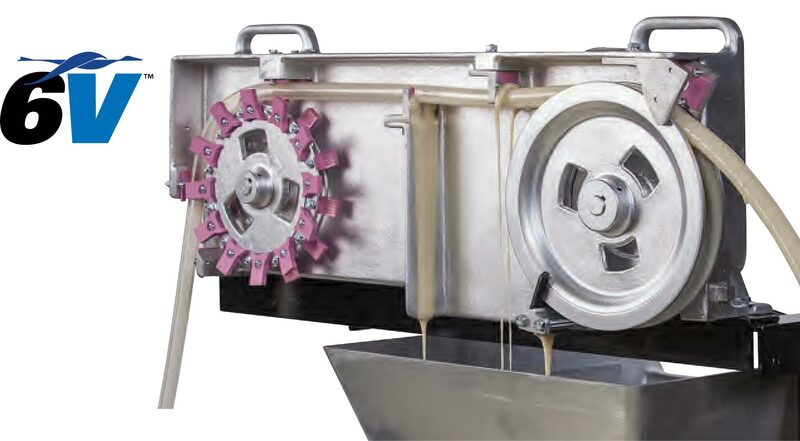 The Oil Skimmers Model 6V waste oil recovery system removes animal, vegetable and petroleum-based oils, fats, greases, and oily wastes that float on the surface of water or other liquids. The unit efficiently removes as much as 100 gallons of waste oil per hour, and discharges it to the collection vessel. The recovered oil is virtually water-free. Engineered for headache-free operation, the external parts of the Oil Skimmers Model 6V Brill® unit – the drive wheel fingers, scrapers, and pressure blocks – are made of high abrasion-resistant ceramic. Gearing is engineered to require minimal power and maintenance, and sealed in a cast housing to protect them from conditions found in environments where skimmers often are placed. Thoughtful design and durable construction ensure the Model 6V Brill® system an operational life span of 25 to 30 years. Many units have been in service for more than 30 years and are still going strong. 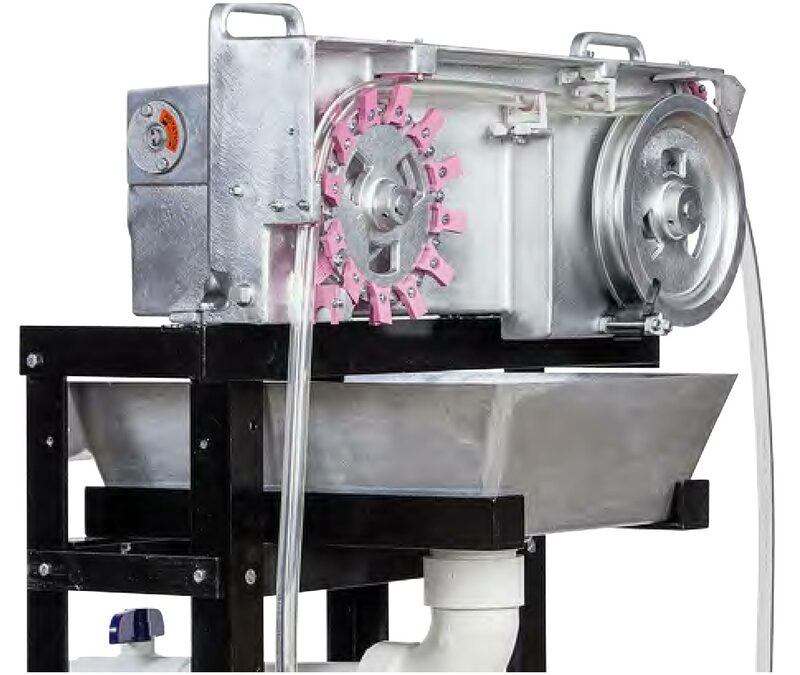 The Oil Skimmers Model 6V Brill® waste oil recovery system has been designed to operate continually and unattended as it separates animal, vegetable, and petroleum-based oils, fats, and greases floating on the surface of industrial process water and wastewater. Pre-engineered mounting systems increase the 6V’s versatility and flexibility. They simplify placement of the system on pits, sumps, ponds, and open or closed tanks, thus eliminating costly development and fabrication of creating your own mount. With experience in over 35,000 applications, our experienced representatives are available to survey your oil removal needs and provide a complete oil removal system to meet even the most challenging oil on water problem.